Liverpool duo Naby Keita and Sadio Mane are keen for Timo Werner to make the move to Anfield from RB Leipzig. Werner's deal with the Bundesliga club is due to expire at the end of the 2019-2020 season and he is yet to decide on his long-term future. That has led to rumours that Leipzig could cash in on their prized asset in the next transfer window to avoid losing the Germany striker in a cut-price deal or on a free transfer. 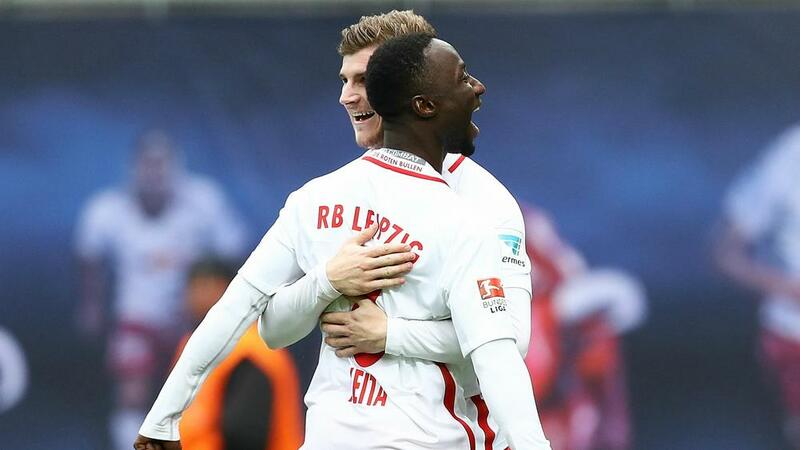 Keita was a team-mate of Werner, who has also been linked with Bayern Munich, at Leipzig and would relish a reunion. Speaking to Sport Bild, he said: "We played really well together at Leipzig and he was one of my best mates. "It's clear, should he move, then I ask Timo to join us here at Liverpool." Reds forward Mane said he watched several Leipzig matches upon learning of Keita's move to Liverpool and the Senegal international is an admirer of Werner. "I'd advise him to join Liverpool. I like his style of play. Very forceful, good finisher, always giving it 100 percent. If he wants to join us, we'd welcome him to our team," he added. "When it was clear that Naby would join us, I often watched Leipzig matches. "But, to be honest, it was dreadful for me at the start. Naby saw quite a few red cards. I then asked Kevin Kampl, my friend from our time at RB Salzburg, why Naby always got sent off. He didn't know. "Naby missed some important games and I could watch other players more closely. And Timo stood out." Mane's first venture in the Premier League was with Southampton, who he joined from RB Salzburg in September 2014. The 26-year-old claimed that he was also the subject of interest from Bayern Munich at that time when Pep Guardiola was at the helm. "In January 2014, we had a friendly match against Bayern in Salzburg," he added. "The coach then was still Pep Guardiola and we surprised him with our way of playing. "My advisor Bjorn Bezemer later informed me there was contact with Bayern after this match, but they did not really interest me."